Heavy rain showers conditioned the Dutch GP at the Assen TT circuit, forcing Race Direction to bring the red flags out after 14 laps while Andrea Dovizioso, who had started from pole, was leading from Danilo Petrucci (Octo Pramac Yakhnich Ducati) and Rossi. Andrea Iannone, who crashed on the same lap, managed to return to the pits and was able to take the start for the second part of the race. The second grid line-up was based on the standings after the first part, which meant that the remainder of the race would be over 12 laps. 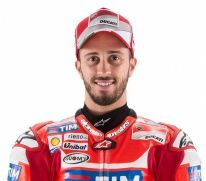 Dovizioso powered away well and crossed the line at the end of the opening lap in second place, but he then crashed out in Turn 12 and was forced to retire. Iannone, who started from the sixth row, was able to work his way up to fifth place by lap 4 and he took the chequered flag in that position. 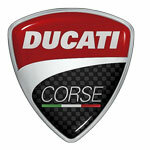 The race was won by Australian rider Jack Miller, ahead of Marc Marquez and Octo Pramac Yakhnich Ducati’s Scott Redding. 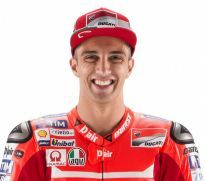 The morning warm-up, which was held on a dry track, had seen the Ducati Team riders demonstrate their competitiveness at this circuit, with Iannone topping the timesheets ahead of Dovizioso. 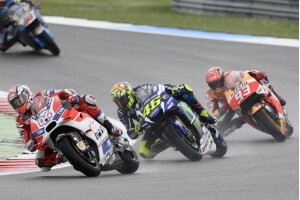 The MotoGP World Championship saw one of it’s most bizarre days of racing at the historic TT Assen, as biblical downpours brought out the red flag in the middle of the 26-lap race, meaning a shortened 12-lap event would decide the winner. 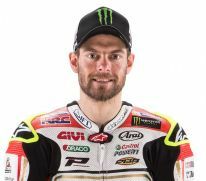 Having started on row two, LCR Honda’s Cal Crutchlow was making excellent progress despite the heavy rain which was falling around the track, rapidly closing down the leaders, with a sequence of fast laps before the stoppage. He restarted the second race from seventh place, and having fitted a softer rear wet to his bike was hopeful of a good result. However, the extra grip meant he was pushing the front end too much, which was ultimately his downfall as he slid out of the race, but the Briton was thankfully unharmed. The race was eventually won in stylish fashion by former LCR Honda rider Jack Miller.